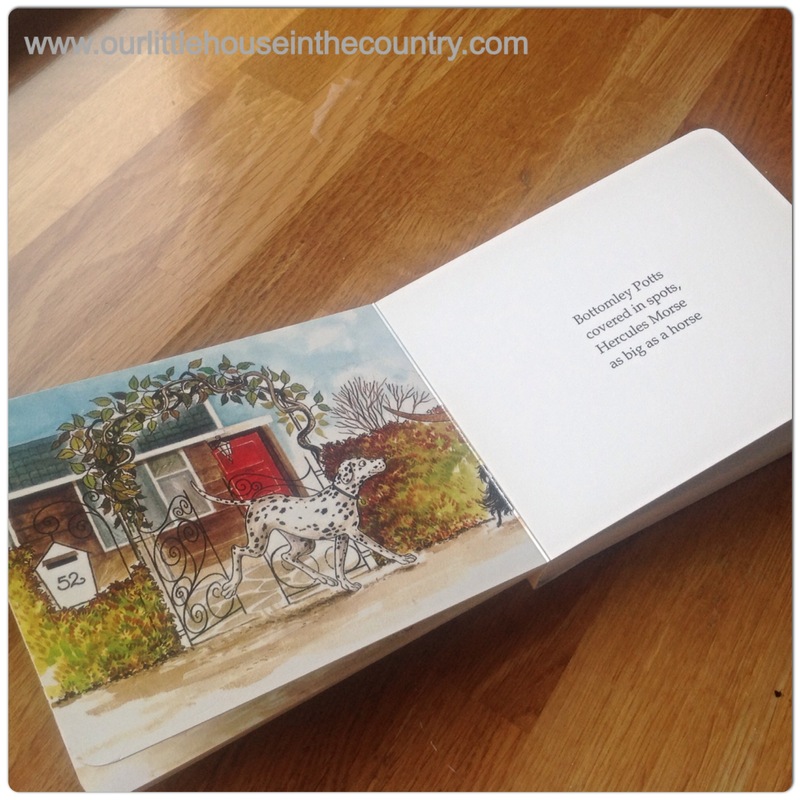 Board books are such an amazing way to introduce little ones to books. We have lots of them, I keep them in little baskets in each room for easy access as well as displaying some on our kitchen book rack and the book rack made from an old cot side in O’s room. Board books are so much easier for little hands to manipulate, allowing toddlers to turn pages with ease. Of course they are also so much more durable!!!! There is such a huge variety of board books available that I wasn’t sure which type to begin with. I decided to take a look at story books this week. 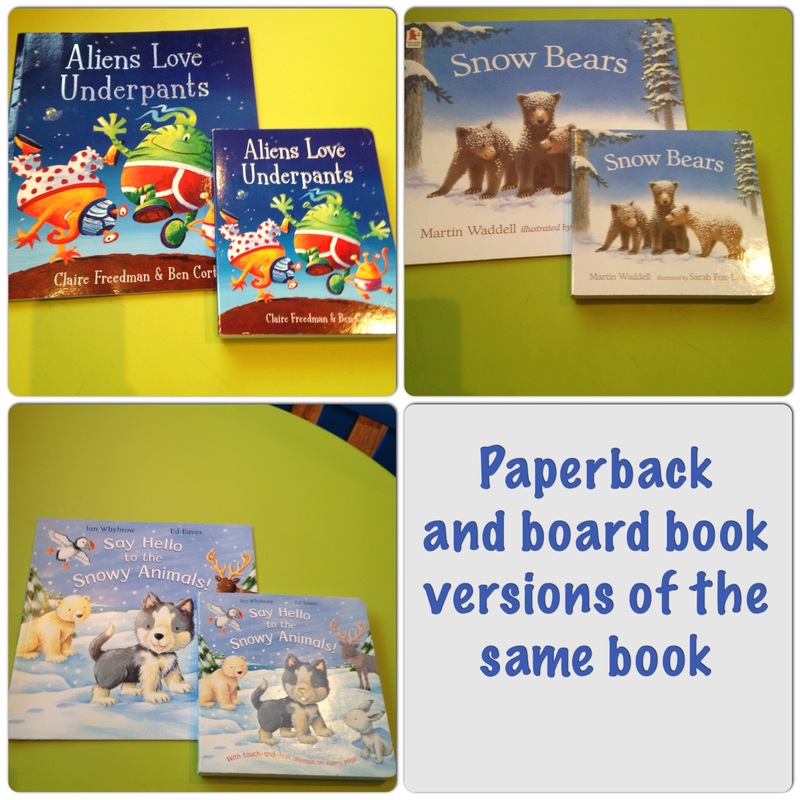 We have several of our favourite picture story books in board book form also. 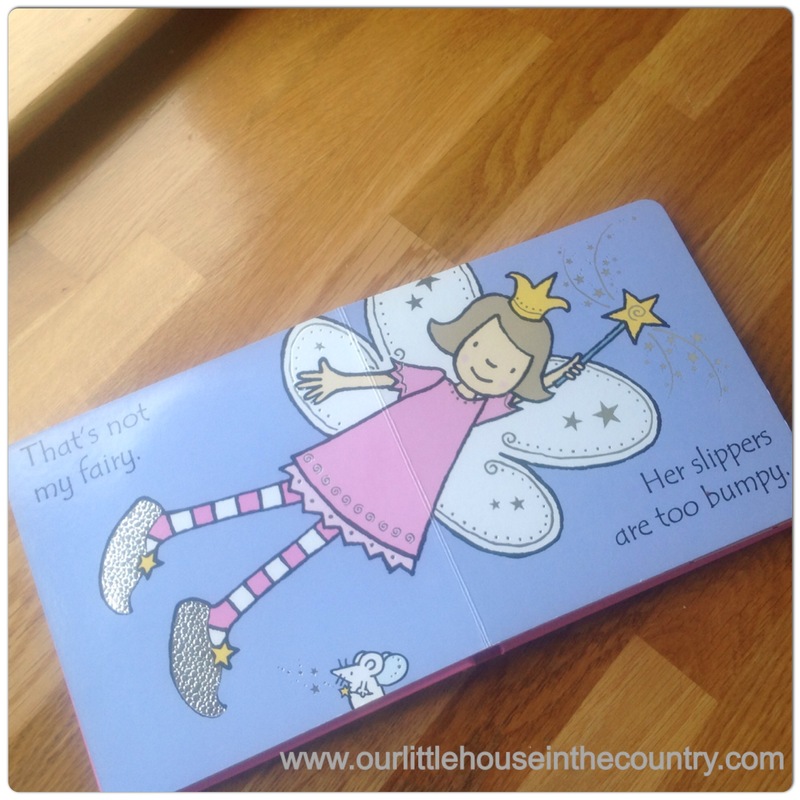 “That’s not my…” Although not a story book, per say, this Usborne series is a gorgeous, tactile, toddler friendly set of board books. We have lots of them. 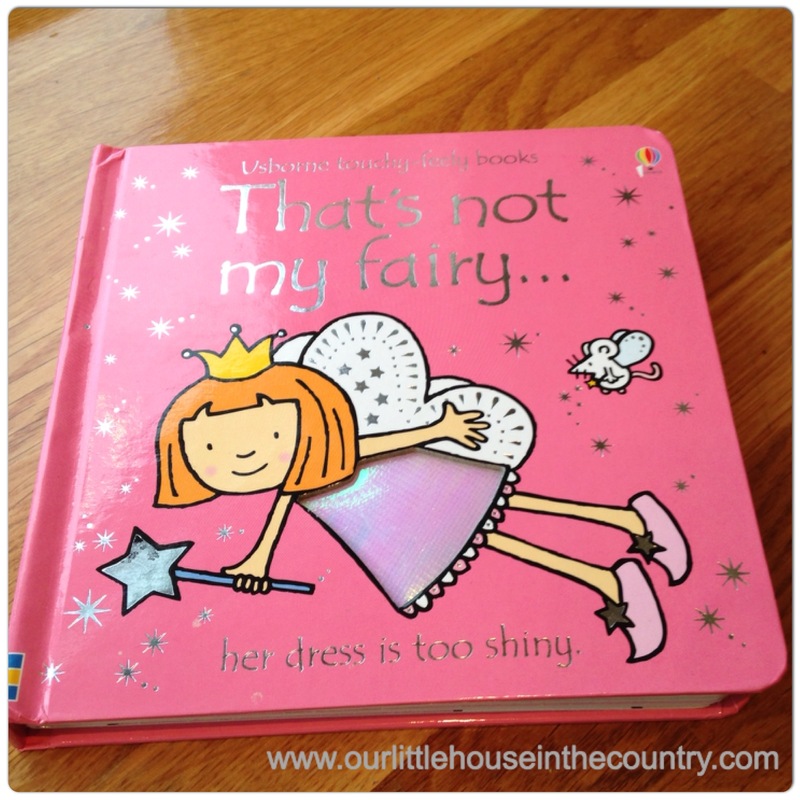 A firm favourite at the moment is “That’s not my Fairy” These are unbelievably simple little books. Each relates to an object or person. There is one sentence per page, the page on the left reads something along the lines of “ that’s not my…” and the opposite page gives an explanation why it is not. These books are brilliant for building descriptive language, introducing words like scratchy, silky, rough, fuzzy, etc., etc., etc. Each colourful page has textured paper or fabric built into it helping children to identify the “feel” with the new word. Another key feature to this series is the repetitive nature of the text, encouraging children to actively engage with the text. 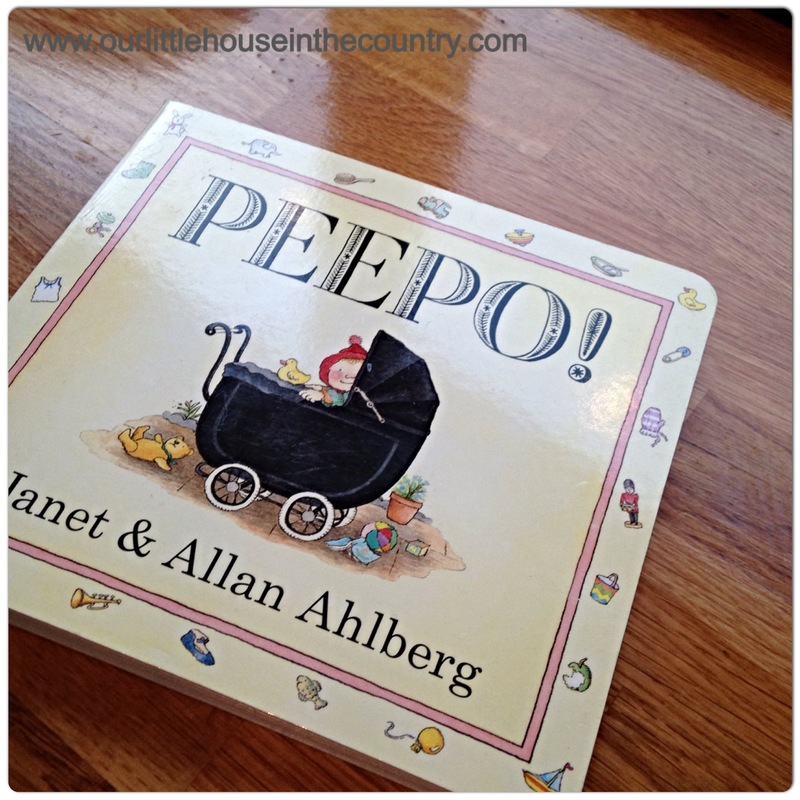 “Peepo” by Janet & Allan Ahlberg. This is a beautifully illustrated, rhyming story. It is written from a little baby’s perspective and what he can see from his cot, highchair, buggy, etc. there is a circular cut out through which you get a glimpse at what baby sees and as you turn the page you are greeted with a wonderfully detailed drawing of the little baby’s life, home, family. I love this book for it’s gorgeous drawings, rhyming text, it’s relation to a child’s own world, taking the reader through a day in the life of this baby and for the clever physical structure of the book – the peep hole! For me, this is a must have book for young children! 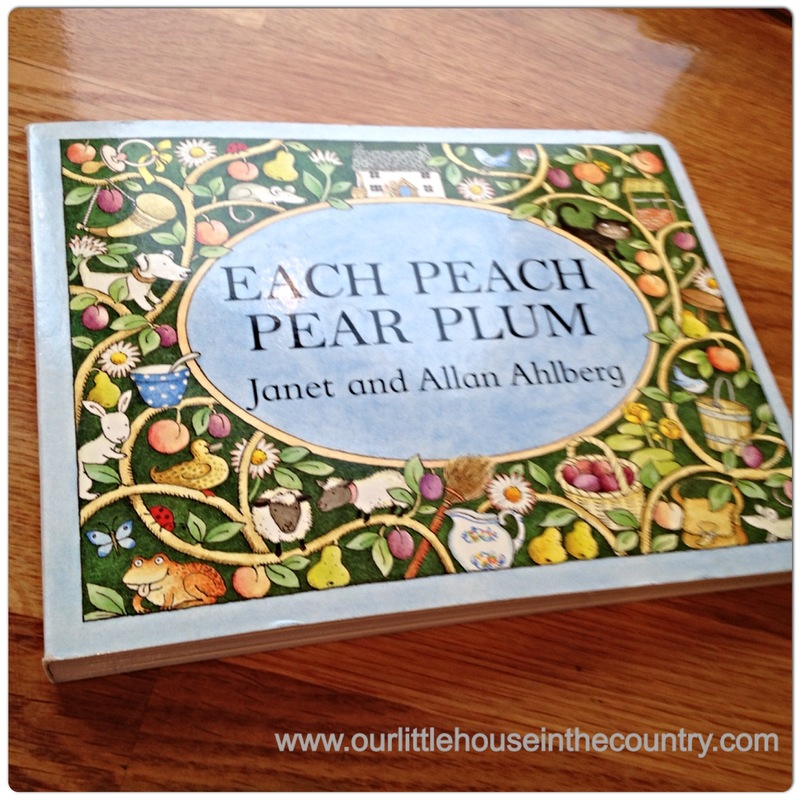 “Each Peach Pear Plum” This is another Janet and Allan Ahlberg book. What attracted me to this book were the wonderful illustrations, a key aspect of all of their books. Again, this book has minimal text, fantastic for maintaining a toddler’s attention while still introducing them to books. This book is also a rhyme and each page refers to a nursery rhyme or fairy tale character. The illustrations provide lots of opportunities for chat and discussion with funny little details hidden throughout. Both my children and I have loved this book from the first instance it was read to them as young babies. 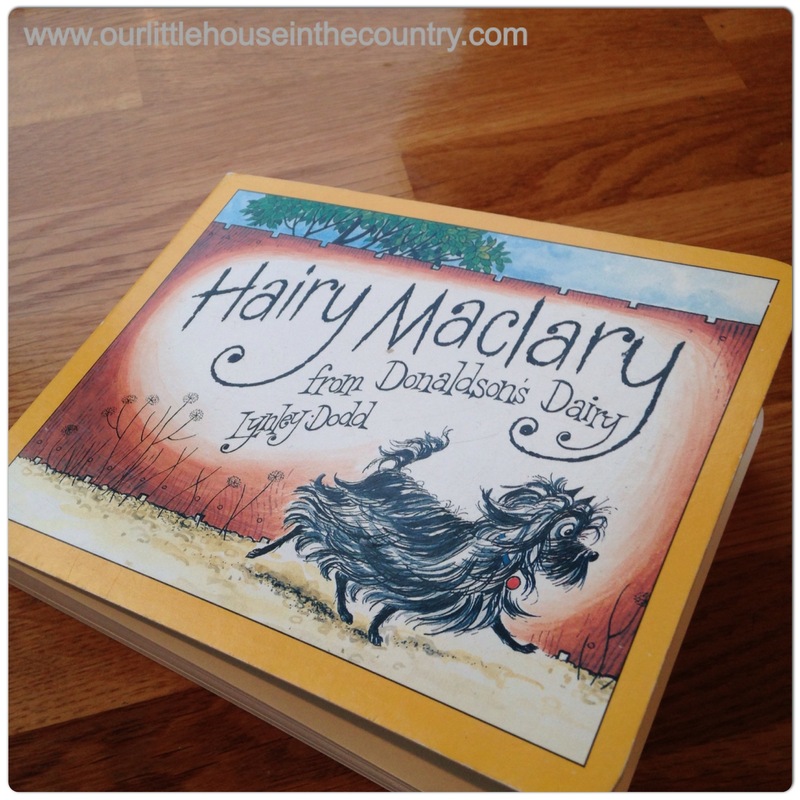 Hairy Maclary from Donaldson’s Dairy by Lynley Dodd. My 2 year old Oodles, loves this book. She loves dogs and the little hairy black doggy in this book instantly caught her imagination! This book is great fun, tracking the adventures of Hairy Maclary, a little dog as he heads out on his daily walk. Along the way we meet all sorts of other dogs with fantastic names and again it is a rhyme. As you can see, beautiful illustrations, short, rhyming text, with a child relevant storyline and descriptive language are what I consider very important when choosing books for toddlers. The Very Hungry Caterpillar by Eric Carle. This is a worldwide favourite. I loved this book as a child and it has been a pleasure reliving those memories with my own children. This is also a book I regularly recommend to teachers as a resource for teaching life cycles to young children. The colour, physical structure, and quirky illustrations are captivating. The simple, clear, yet descriptive language tells the story of the caterpillar transforming into a beautiful butterfly. 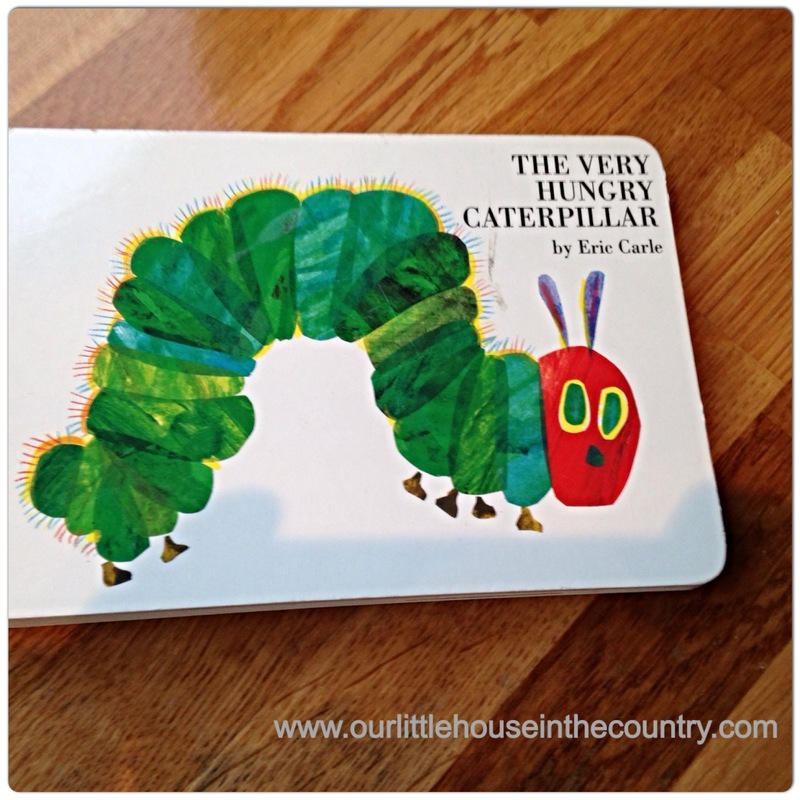 There is so much to be learned from this book – days of the week, food, counting, colours, life cycle of a butterfly! Whether you buy this book in paperback or board book form I really think that every child should have access to this amazing little book! 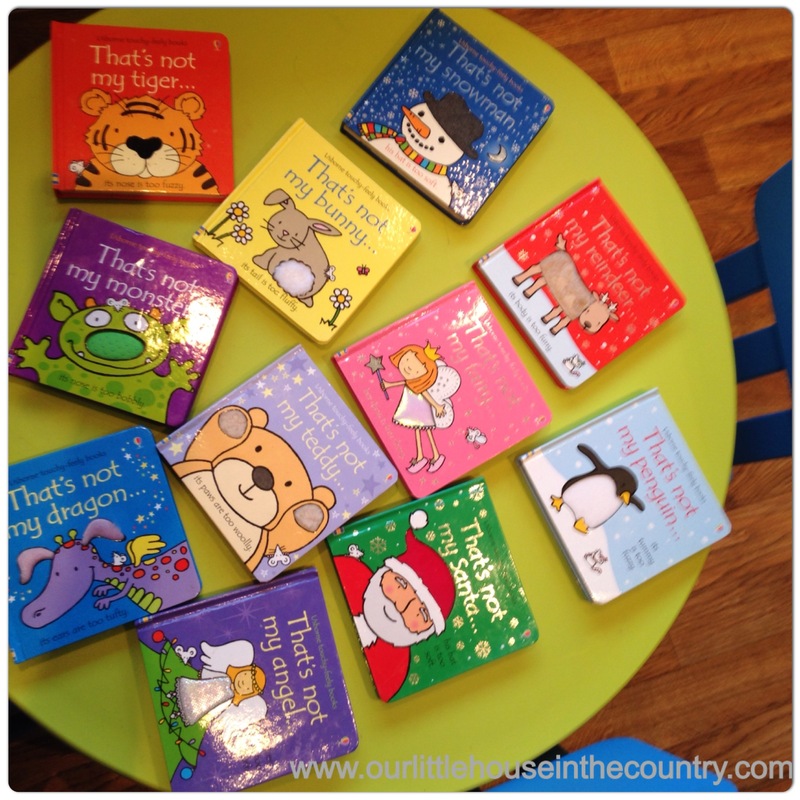 This is just a small selection of the board books we love and own. 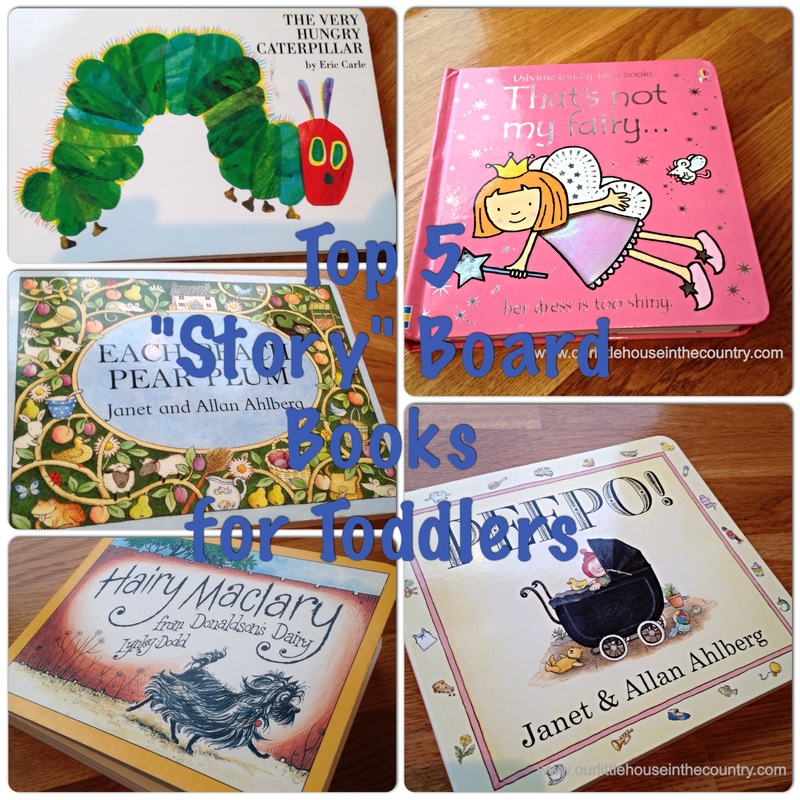 I’m hoping to compile another “Top 5” or two, focusing on the other type of board books and toddler books available. I would love to hear your recommendations, I’m always looking for new ideas of what to buy for Doodles and Oodles. 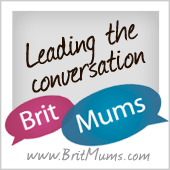 Please share in the comments your tried and tested, well-loved board books for toddlers! Hi! Glad to find a fellow lover of board books 🙂 I will check these books out, thanks! Thanks Viviana, we have tonnes if them!!! I love it too as does O, she thinks the names are hilarious!